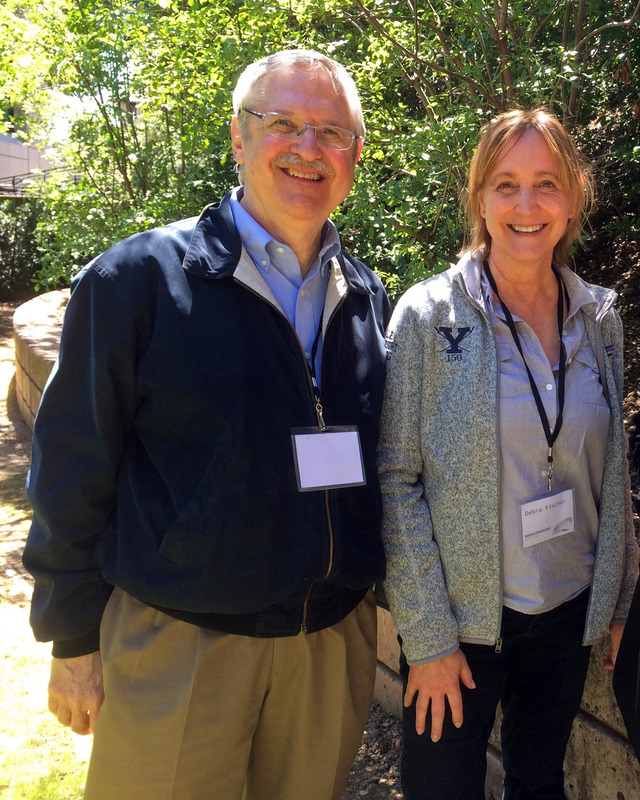 Over the years, I have had the privilege of working with many well-known (and not so well-known) astronomers in doing education and outreach. 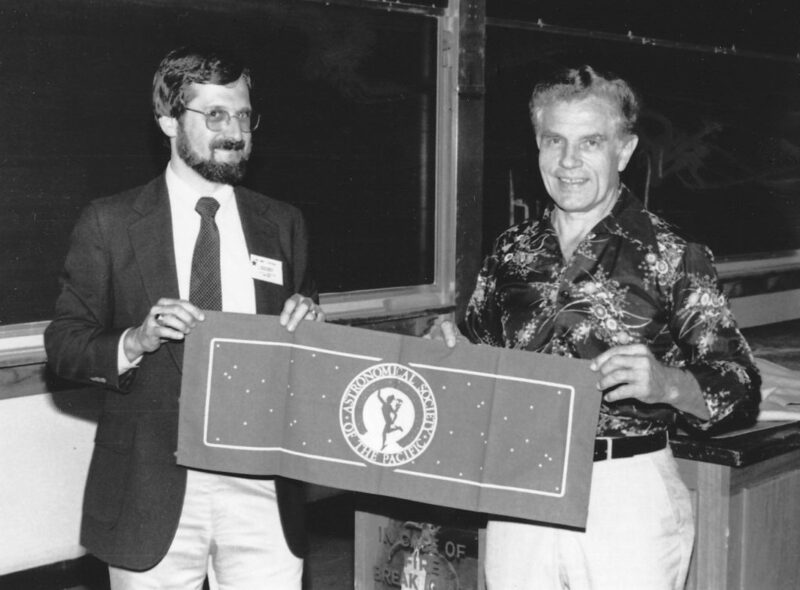 I was particularly fortunate in my association with the officers and board of the Astronomical Society of the Pacific, especially during my 14-year tenure as the Society’s Executive Director. 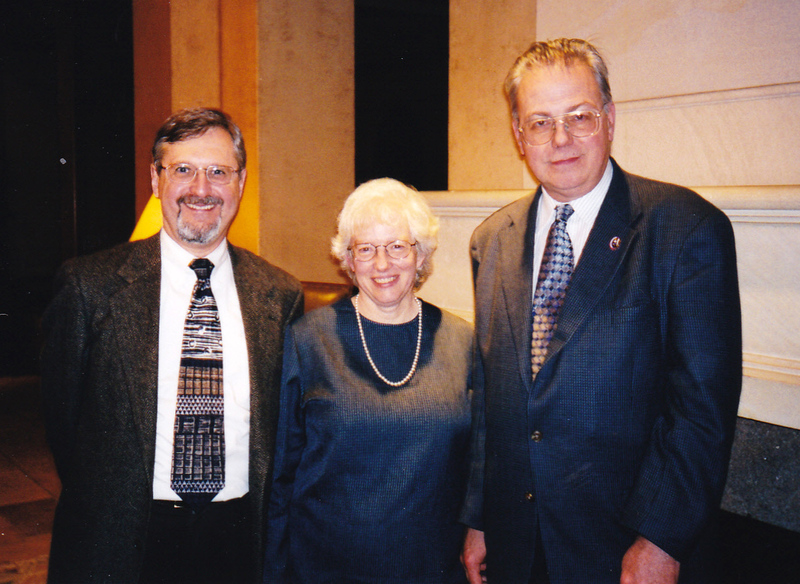 Here are a few pictures of scientists I have worked with during my career. Bart Bok’s work allowed us to trace the structure of the Milky Way Galaxy more clearly. And, the dark knots of raw material where stars form are called Bok globules in his honor. He had a wicked sense of humor, served on the Board of the Astronomical Society of the Pacific (ASP), and was a great supporter of our work in astronomy outreach. I got to know him only late in his life, but even then, his energy and enthusiasm seemed enough for two people. 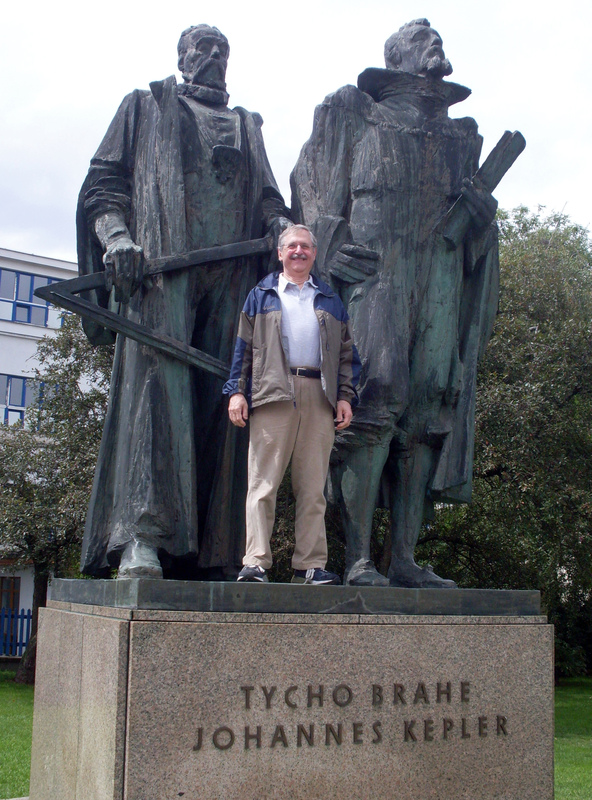 Tycho Brahe and Johannes Kepler need no introduction, and I am appropriately dwarfed by them in this photo taken by my son while we were in Prague. 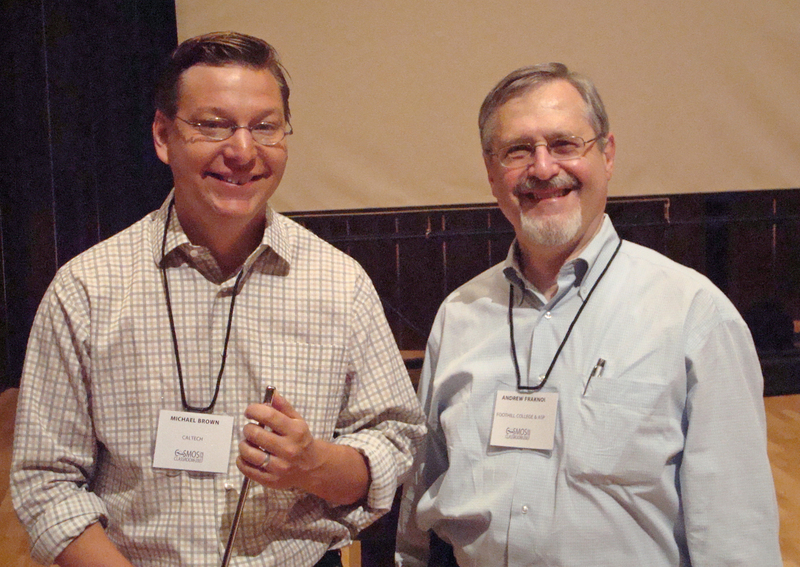 Michael Brown is the leader of the teams who have discovered many of the larger members of the Kuiper Belt, the zone of icy bodies beyond Neptune. He was also a participant in Project ASTRO while he was a graduate student at the University of California, at Berkeley. He has given a number of talks in events and lecture series I have hosted and is a wonderful story teller. That the newly discovered dwarf planets have names connected with mythologies of non-western cultures is because Dr. Brown made a conscious effort to be more inclusive. Debra Fischer is the first woman to have discovered a planet, and the first astronomer to have found evidence for a system of planets around another star. When she was still a graduate student, she was also a volunteer astronomer for Project ASTRO, and has given talks and written material for educational projects I have been involved with. She is now Professor of Astronomy at Yale University and continues to do path-breaking research on extrasolar planets. 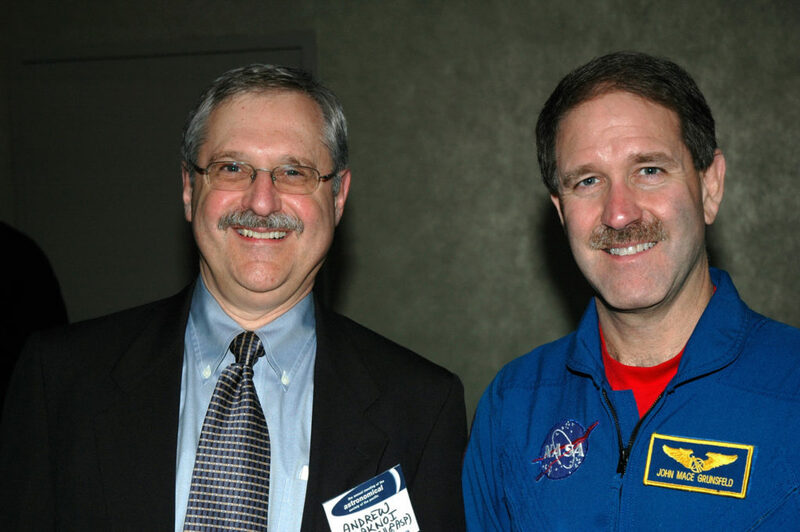 John Grunsfeld is affectionately known as the “Hubble repairman,” since he served as an astronaut on three missions to visit the space telescope. He went to space on five different occasions, has logged more than 58 hours of space-walk time, and has been NASA’s Chief Scientist among other responsibilities. He has been a special guest and lecturer at several ASP meetings and occasions. Karl Henize was an astronomer (working on stars and nebulae) and an astronaut. He flew on the Space Shuttle in 1985, while serving as a board member of the Astronomical Society of the Pacific. He offered to take the banner of the Society into space in his personal kit. At that time, the ASP did not have an official banner, but who could resist such an offer? We quickly had one made, and he later presented it to us, having taken it on his successful mission. 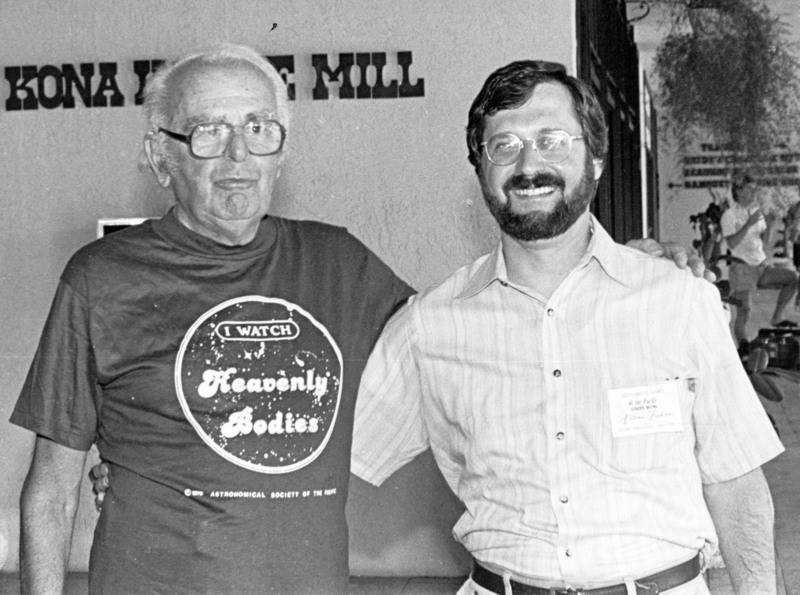 James Hesser is one of Canada’s best-known astronomers and was for many years the Director of the Dominion Astrophysical Observatory. 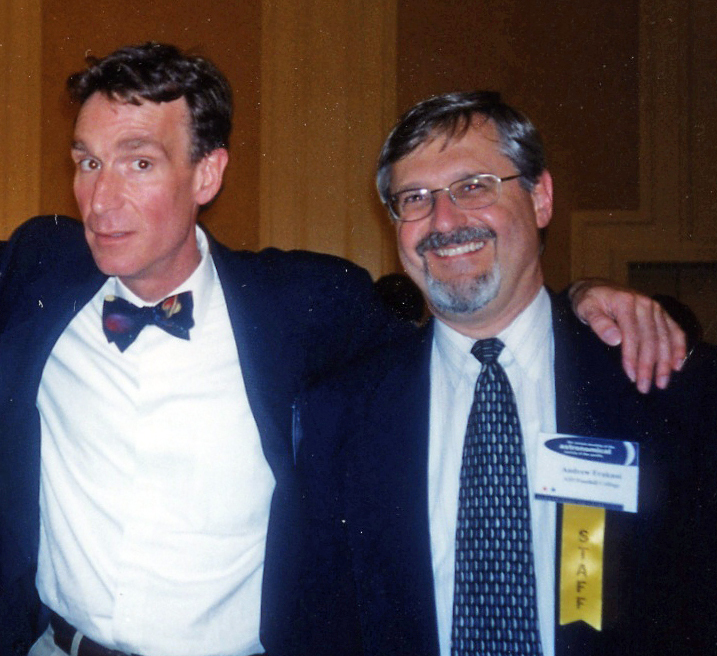 In addition to his research, he has been a major force for astronomy education and outreach, and served as the head of the Canadian celebration of the International Year of Astronomy in 2009. He was President of the ASP, and served on the Society’s board and advisory groups for many years. That is where I had the pleasure of getting to know him. Vera Rubin was the astronomer whose observations led us to the modern understanding that vast amounts of dark matter surround our Galaxy and other galaxies and galaxy clusters as well. 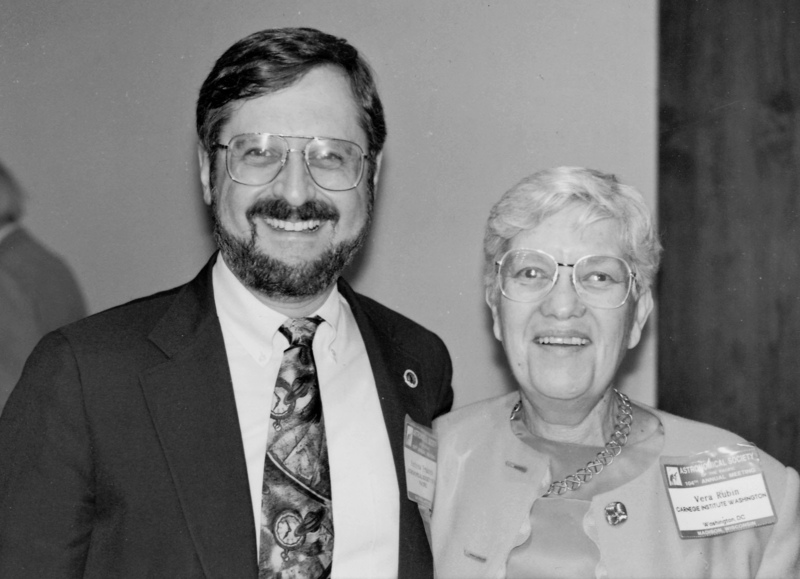 She served on the ASP Board of Directors and was a strong advocate for increasing the status of women in the field and for the importance of public education about astronomy. Maarten Schmidt is an astronomer whose careful observations led us to understand the nature of quasars, which looked like stars but behaved like galaxies. He showed conclusively that they were at great distances in the expanding universe (had large red-shifts). Today we know that quasars are galaxies in which a super-massive black hole is being “fed” by material at the center. It is thus putting out huge amounts of energy from a very small region (explaining why they looked at first to be point-like and thus star-like.) He too served on the Board of the ASP. 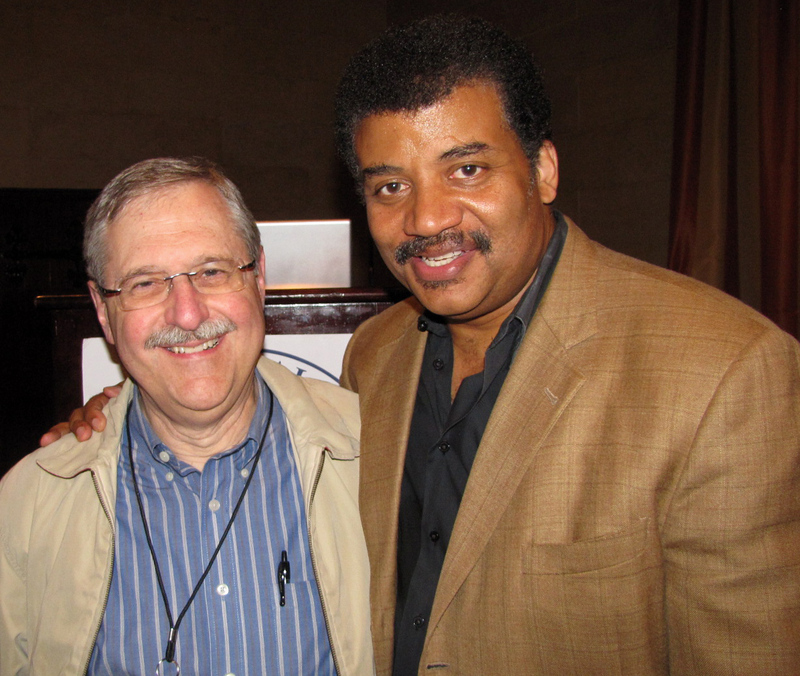 Neil de Grasse Tyson is the premier public astronomer in the U.S. and a skilled, passionate advocate for education and outreach. His books, articles, TV appearances, and public lectures, like those of his mentor Carl Sagan a generation earlier, have been wonderful for the public image (and the public understanding) of astronomy. He spoke at two different ASP meetings. 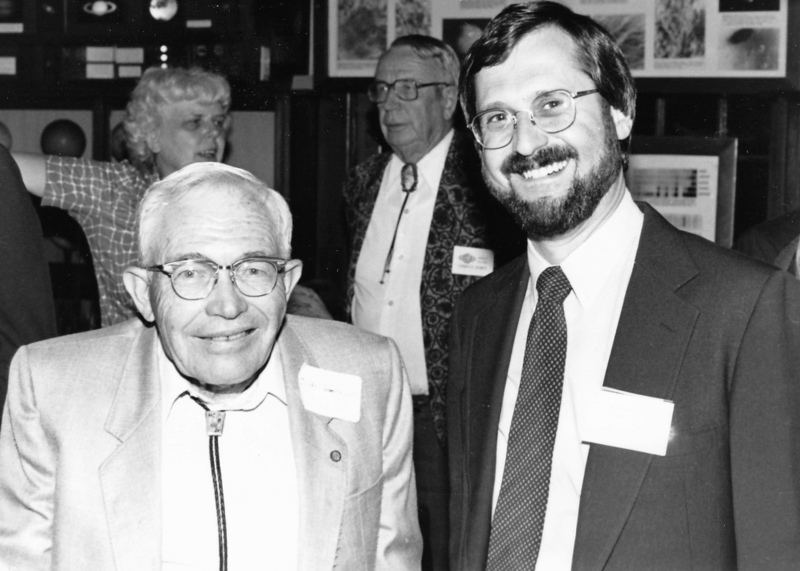 Harold Weaver was a radio astronomer at the University of California, Berkeley, and the founder of the university’s radio astronomy laboratory. 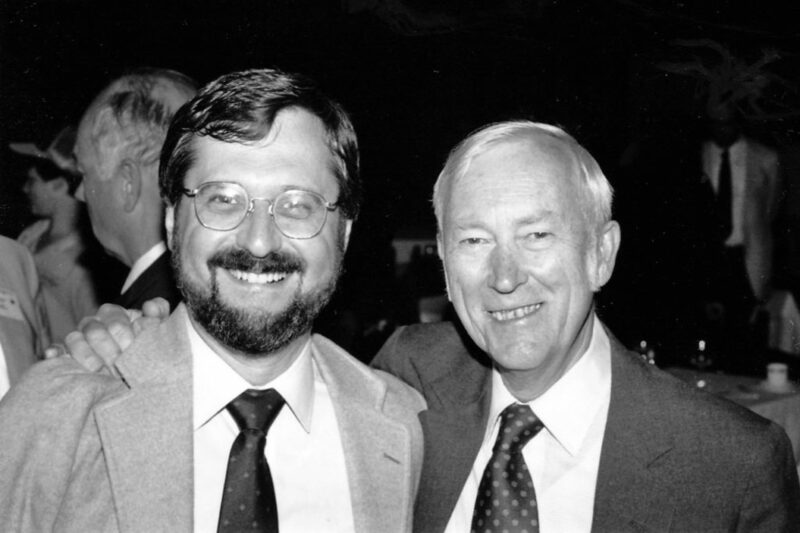 His research helped map and explore the Milky Way galaxy, using both light and radio waves. He and colleagues discovered the first interstellar “maser” (microwave laser) and studied the complicated molecules that we now know can exist in clouds of raw material between the stars. 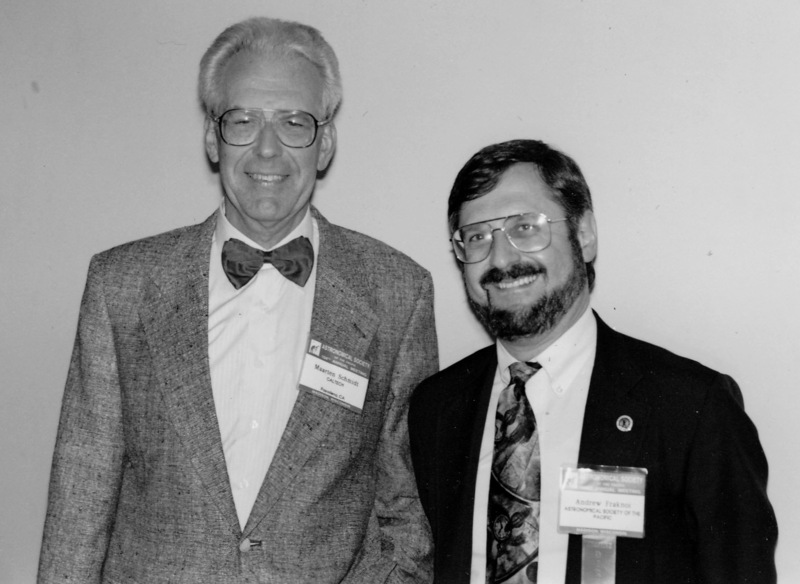 As a board member and then President of the ASP, he led the “revolution” in the early 1970’s that transformed the Society from a sleepy mostly-west-coast organization to a major national force in astronomy education. 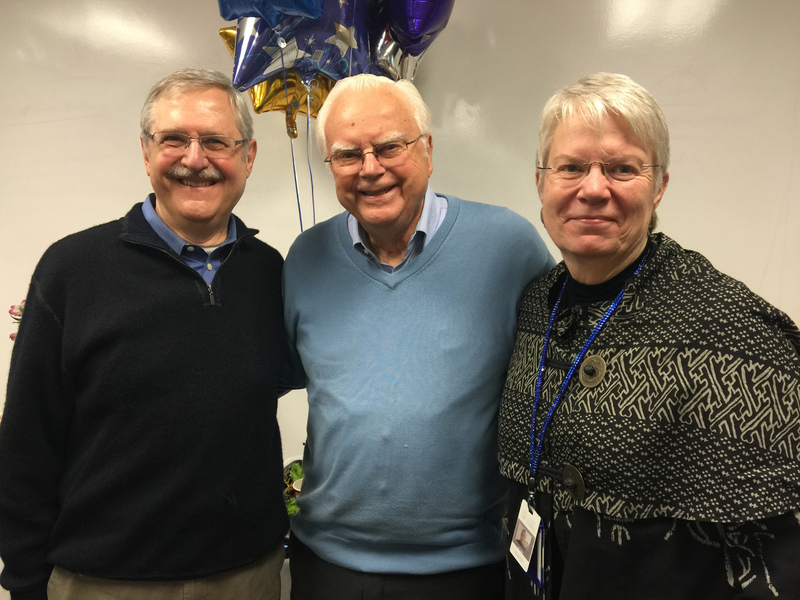 He was one of my most important mentors, recommending that I get involved with the Society because of my interests in education (which then shaped the rest of my career). 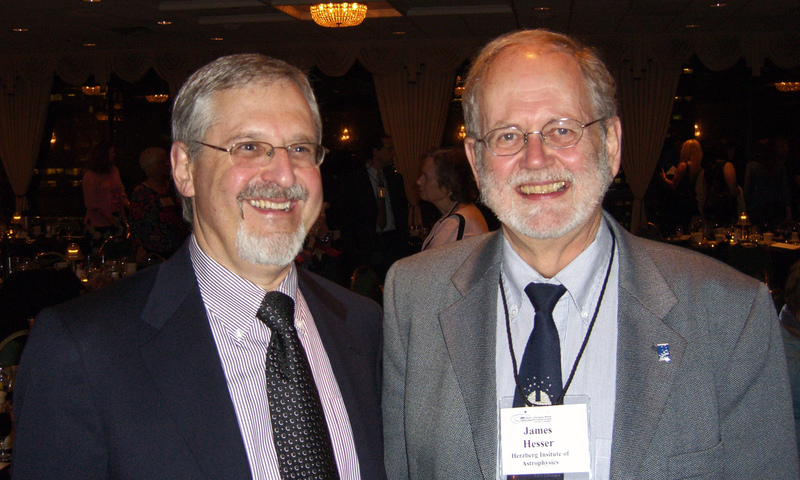 Sidney Wolff & David Morrison are my co-authors on a series of textbooks that explain astronomy in everyday language. Our first effort was the last edition of Abell’s Exploration of the Universe, then we wrote a series of textbooks under the title of Voyages through the Universe, and now we are lead authors in a free, open-source electronic text called simply Astronomy. Sidney Wolff is perhaps best known for as the first woman ever to head a national observatory, and as a passionate advocate and organizer for new telescopes that extend our ability to study the universe. David Morrison is a planetary astronomer, known for his work on asteroids and particularly for helping humanity understand (and deal with) the threat of near-Earth asteroids and the impacts they have caused and could cause again on Earth.